Born: 23 August 1882, London, United Kingdom. Died: 28 February 1970, Goromonzi, near Harare, Zimbabwe. Rupert Wellstood Jack, son of Arthur Frederick Jack, came to the Cape Colony in 1902 and spent some time at the School of Agriculture at Elsenburg, near Stellenbosch, where he received a diploma. He matriculated in 1903 and the next year passed the intermediate examination for the BA degree (equivalent to the first year of study) of the University of the Cape of Good Hope. Though he continued his studies at the South African College, Cape Town, during 1905 and 1906, he did not graduate. Meanwhile, in March 1903 he had been appointed to assist the government entomologist of the Cape Colony, C.P. Lounsbury*, with technical work at the Animal Diseases Experimental Station at Rosebank, Cape Town. His duties involved mainly the rearing of ticks and using them in experiments on the transmission of east coast fever in cattle and biliary fever in horses. He also took part in preliminary investigations into the use of sodium arsenite for spraying and dipping cattle as a means of tick control. Lounsbury (1940, p. 20) described him as "an amitious young Englishman of excellent physique who, due to a good common school education and natural ability, had been an outstanding student at Elsenburg. Moreover, he had collected insects as a hobby and had a general though superficial knowledge of entomology. 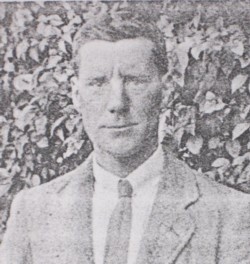 He rapidly added to his knowledge by study and acquired a high degree of general usefulness..."
Jack resigned his post and moved to Southern Rhodesia (now Zimbabwe) in 1908 and the next year took up an appointment as government entomologist (later chief entomologist) in the Department of Agriculture, directed by Dr E.A. Nobbs*. His colleagues included H.G. Mundy* (agriculturalist and botanist) and G.N. Blackshaw* (agricultural chemist). He held his position until his retirement early in 1942 and had his headquarters at the Agricultural Station in Salisbury (now Harare). There he pioneered biological and ecological studies on tsetse flies and conducted preliminary local research on many agricultural pests. In 1911 he found the first identified puparium of the tsetse fly and provided the first description of its pupa deposition sites. He travelled extensively, sometimes on foot for weeks on end, to study the tsetse fly and other insect pests. As tsetse flies do not cross unshaded areas he recommended the creation of an open clearing for some 50 km along the eastern border with Mozambique in the Chipinge region. This clearing, with its later extensions, helped to restore cattle raising in the region during the nineteen-thirties. During the early nineteen-thirties he was in charge of the government's unpopular game eradication policy to fight tsetse fly disease. However, he also played a leading role in establishing the country's first game reserve, by selecting and defining the area that became the Wankie National Park (in 1949) and recommending to the government that it be proclaimed as a game reserve. Although primarily an economic entomologist he gave some attention to the taxonomy of insects and built up the rudiments of a representative collection of local insects. His collection included many Lepidoptera (butterflies and moths), particularly of the economically important family Noctuidae, in which he was especially interested because the larvae of many of its species destroy crops. Jack's publications included many articles in the country's Agricultural Journal; "Tsetse fly and big game in Southern Rhodesia" (Bulletin on Entomological Research, 1914); Illustrations of natural forest in relation to tsetse fly (Glossina morsitans) (Rhodesia. Department of Agriculture, Bulletin 178, 1914, 10p); "Notes on the larvae, etc, of some Rhodesian Tenebrionidae" (Darkling-beetles; South African Journal of Natural History, 1918, Vol. 1(1), pp. 84-99); "Some environmental factors relating to the distribution of Glossina morsitans Westw. in Southern Rhodesia" (South African Journal of Science, 1927, Vol. 24, pp. 457-475); Studies in the Physiology and Behaviour of Glossina morsitans Westw. 1 (1939); and many more. Jack became a foundation member of the South African Biological Society in 1916. In 1937 he became a foundation member of the Entomological Society of Southern Africa. He was a member of the Rhodesia Scientific Association from 1920 and contributed many lectures and papers to its proceedings. After his retirement he was appointed at the Trelawney Research Station, north-west of Harare, where he worked on the control of the tobacco root eelworm. In 1945 he finally retired and settled on his small cattle farm at Goromonzi, near Harare. There he studied and built up a collection of local Lepidoptera. In February 1911 he married Nora Nesbitt, with whom he had three daughters and two sons. Cape of Good Hope. Civil service list, 1905, 1909. Cape of Good Hope. Report of the Government Entomologist, 1905, 1906, 1907, 1909. Obituary: Rupert Wellstood Jack (1882-1970). Rhodesia Science News, 1970, Vol. 4(3), pp. 103-104. Pinhey, E.C.G. Rhodesian Lepidopterists: Rupert Wellstood Jack. The Rhodesia Science News, May 1978, Vol. 12(5), p. 130. Proceedings of the Rhodesia Scientific Association, 1930-31, Vol. 30, pp. 59-61, list of members. Ritchie, W. The history of the South African College, 1829-1918 (list of alumni). Cape Town: T. Maskew Miller, 1918. South African Journal of Natural History, 1918, Vol. 1(1): Roll of Foundation Members [of the SA Biological Society] and paper by Jack. South African Journal of Science, 1927, Vol. 24, paper by Jack. Southern Rhodesia. Report of the Director of Agriculture, 1911-1914, 1925-1930; Report of the Secretary, Department of Agriculture and Lands, 1936, 1937, 1939, 1940. The Church of Jesus Christ of Latter-day Saints, "Pedigree Resource File," database, FamilySearch https://familysearch.org/ark:/61903/2:2:39Y2-ZHX accessed 2015-12-29, entry for Rupert Wellstood /Jack/.